Kearstin R. Saya, LAc practices as an Acupuncturist in Long Valley, NJ. 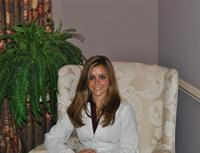 Services Kearstin R. Saya, LAc is an Acupuncturist or Acupuncture office in Long Valley, NJ. Call Skylands Acupuncture at (908) 876-3643 for a detailed description of the services offered. Acupuncturist like Kearstin R. Saya, LAc offer services that often include facial renewal acupuncture, cupping, moxibustion, Gua Sha, Zen Shiatsu, Chinese herbal formula, herbal medicine, smoking cessation and Traditional Chinese Medicine (TCM). Talk to the staff at Skylands Acupuncture for information about your acupuncture needs in Long Valley, NJ.